This isn’t the first time Karl Lagerfeld has has sent a pair of illuminated heels down the runway and I’m hoping it isn’t the last. 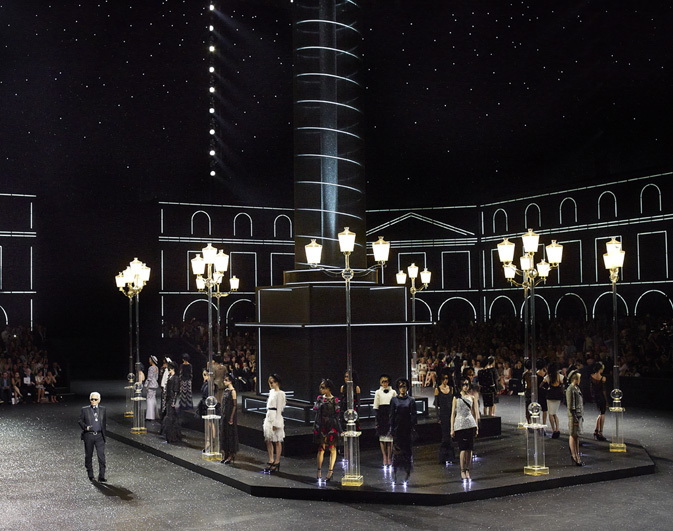 For the Fall 2011-12 Chanel couture show, the models strutted their stuff in a pair of LED heels that lit up during the finale. 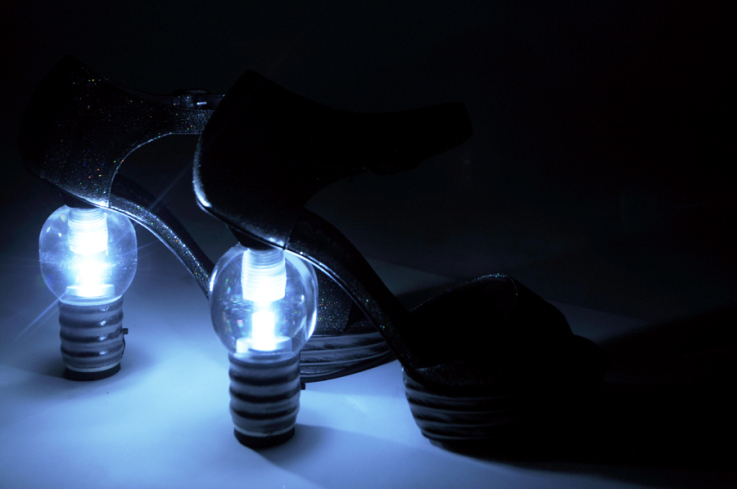 Personally I prefer the previous whimsical light bulb shoe over the current design that makes the models look like their wearing a pair of headlights on their toes.